While we [regretfully] live in the age of selfies, good photography is still valued. However, modern photography highly favors convenience and ease. Instead of dragging around a heavy professional camera, we tend to snap photos with our phones. But it doesn’t have to stop there. Apps have allowed our phone cameras to transform photo journalism. Below are two of my favorites. Camera+ consistently ranks as the no. 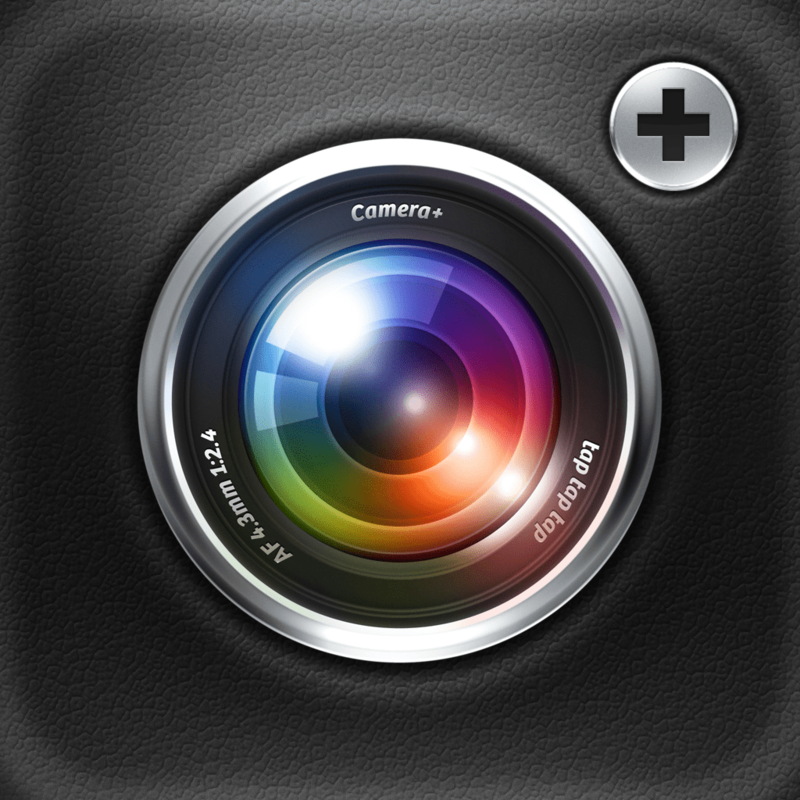 1 photography app, and it’s easy to understand why. The app is wonderful at adding brightness to low light photos. Its impressive collection of filters leaves nothing left to be desired. This is my favorite app to use when editing vacation photos. The landscape just looks so much more warm and vibrant after selecting “Backlit” and “Diana”. The convenience of a phone camera – instant, no film to develop – should not, however, sacrifice quality. These apps will truly enhance your digital library and make them worthy of print! We have all caught ourselves wishing for more hours in a day, for deadline extensions, and for a less flooded inbox. None of these wishes are in our control. Today, I will share four productivity techniques that have worked for me and are incredibly easy to apply. Implement them and you won’t need to wish for Genie! I will be so proud, elated, and feeling accomplished! Let’s further reinvent your to-do lists. You don’t make a habit of skipping meetings, do you? And why is that? Because they’re scheduled. So do the same for your tasks! Set specific times to accomplish them. This process is made incredibly easy by using FREE app Timeful. This app seamlessly integrates your tasks and calendar. After adding your to-do’s, you can drag them right onto your daily calendar – in the midst of your events – so you can always have realistic expectations of how much can get done per day. Timeful also suggests healthy habits (i.e. take a walk) and recommends the optimal time to achieving them based on your existing calendar. It’s truly your BFF in electronic form. Rescue Time starts logging all your activities the moment you turn on your computer/laptop. It categorizes everything you do as either productive or distractive. Then, weekly, it will email your productivity report. You can quickly analyze it to see what applications/websites steal most of your time and resolve to restrict access to them. Are there certain sites you wish to restrict access to (i.e. Facebook)? You can use SelfControl for Mac users, LeechBlock for Firefox users, or StayFocusd for Chrome users to block any sites you wish. Focus your attention to a specific task for an allotted amount of time, then take a short break. Rinse. Repeat. In the 1980s, Francesco Cirillo, who invented this technique, recommended working for 25 minutes and taking a 5 minutes break. Researchers now believe it’s best to work for 57 minutes and break for 12. Whatever your time combination, stick to it. The toughest part of finishing a task is to start it! With this technique, it takes the pressure off of completing something. Simply, it only asks that you stay committed to a task for a certain amount of time. Then, see where you are with it. Take a short break to replenish yourself. Leaving a task at a cliffhanger actually makes your brain craves it, much like how TV shows leave you with a cliffhanger. You therefore will be more excited to continue an unfinished task. With multiple Pomodoro sessions, you will eventually finish your task. Try the 30/30 app to help you stay on your Pomodoro schedule! Don’t let yourself be overwhelmed with mountains of to-do’s. Make your tasks more fun by attaching positive (or avoiding negative) emotions in performing them. Then, schedule those tasks! Try performing them using the Pomodoro technique. Don’t be clueless as how your day has gone to waste. Let Rescue Time inform your habits and work to strengthen your weak spots. For more apps that help increase your productivity, check these out! Everyone is all about “going green” these days. Students are probably the biggest “paper wasters” due to all the readings and notes they have to do. While it’s definitely much more comfortable to read and far easier to write neatly and quickly on paper, the problem with all of these papers is that they take a whole lot of space. Ultimately, most end up (hopefully) in the recycle bins, but sometimes they are trashed. The other thing about paper is that, like anything physical, it can become destroyed. Ink may fade and pages may decompose. It is very difficult to keep paper pristine. Tablets make reading electronic files much more convenient. We can now lie or sit comfortably wherever we like and “hold” the documents to read from like we would paper. Files are displayed gorgeously with crisp clarity. With the help of some extraordinary apps on the iPad, I have been “paperless” for the last 3 years. I no longer have to print or copy unnecessarily. As long as I have a PDF file, I’m good to go! I can highlight and mark readings that I do. Furthermore, I’m not bound by keyboards to transcribe. I can whip out a stylus and scribble down notes with ease anywhere I please. Penultimate has taken the place of my notebooks. I used to carry a small spiral-bound pad with me to jot notes from the day on, but this is no longer necessary. This app looks and feels like a real notebook. It has many page designs to fit your writing needs. You can write in different colors and “pen tips” (thicker vs. thinner). Compared to other apps, I find Penultimate has more “fluidity” and sensitivity, allowing me to write like I would on paper. I now have hundreds of pages of handwritten notes that can easily be shared and are backed up to a “cloud”. Penultimate also allows me to maintain multiple notebooks, which makes organizing and finding past notes a piece of cake. I will never buy another notebook in my life! Notability is the most useful and productive app I own. I constantly use it for work and personal tasks. 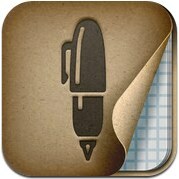 It is a must-have for any iPad user who needs to write/keep notes. This app has every possible way to take notes – handwriting, typing, and even voice recording. The best feature is the highlighting and handwritten marking functionality for PDFs. I probably spared the lives of countless trees with this app. Best of all, I can now have every article I’ve ever read with me at all times. Notability also makes signing of documents a cinch; no longer do I need to print, sign, and scan/fax. There are multiple pen colors and sizes. Notability also allows you to search keywords within any given PDF! These apps are wonderful, but without a good stylus, you would not be able to use them to their maximum capacity. I have tried a good amount of brands and found that nothing beats Wacom’s Bamboo Stylus. It is very comfortable to write with and produces relatively life-like writing. Gone are the days of messy stacks of papers which may be unsightly and overwhelming to navigate, organize, and/or share. Information is now readily available, so shouldn’t your notes be as well? Last year, I purchased my first car. It had 13 miles on it. Cut to 8 months later? Over 15,000 miles! My tires have driven through 16 states as of today. One of the “joys” of being on the road (besides seeing the different places) is to hear the region’s radio stations. While the songs may be the same, there’s a different “feel” with the radio personalities/news/commercials. iHeartRadio captures this experience into a fantastic app that allows you to listen to any station (on their network) in the US regardless of where you are. Currently I’m in Detroit, but iHeartRadio makes me feel like I’m in New York City when I tune into 103.5 KTU. The audio is crystal clear. You never have to worry about losing your favorite radio station anymore! Besides offering “live” radio, you can also tune into some of your favorite radio shows at your leisure, such as the feel-good wisdom and song choices of Delilah. While radio is great, it can get boring hearing the same songs over and over again. For a change of pace, I listen to Podcasts. With the iOS 6 update, Apple gave podcasts its own app. Some hated this change and wanted it back within the “Music” application. If this change never happened I probably would never have discovered this gem of an app. There are hundreds (thousands?) of podcasts available on Apple’s Podcast Store in various genres. If you search, there’s likely one (or two, or three…) that will capture your interest. “iHeartRadio” and “Podcasts” are two fantastic apps that are a definite “must” for anyone who drives long distances (or have a tendency to be stuck in traffic). They make the miles seem much shorter and your trip go by much faster!